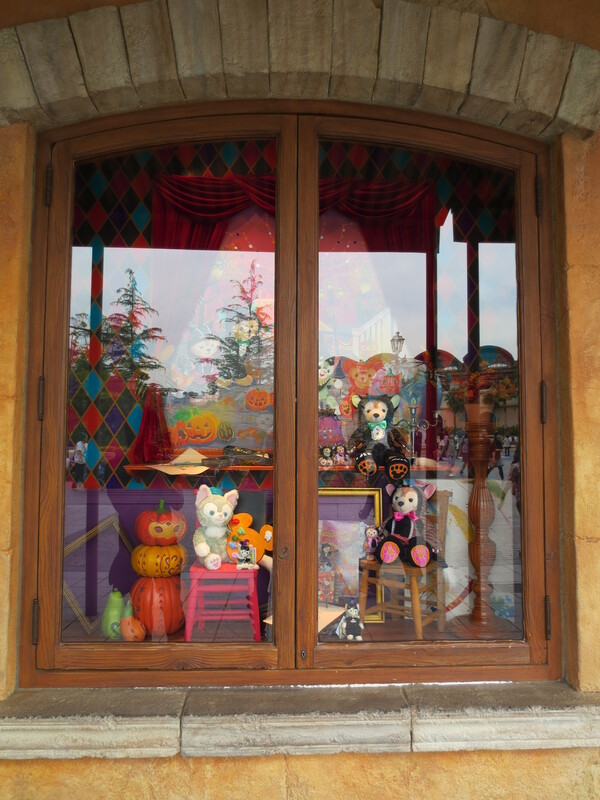 When I go to TDR for Halloween, I find that my time at Disneysea is spent staring at the decorations (Disneysea is such a beautiful place!) 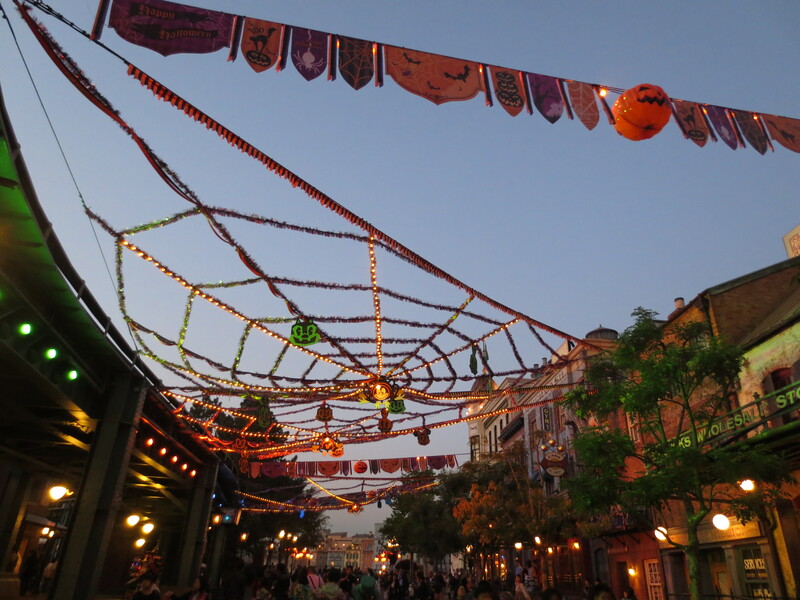 and trying to eat all the food (trying, because even eating my way through a fraction of what’s on offer is a challenge). 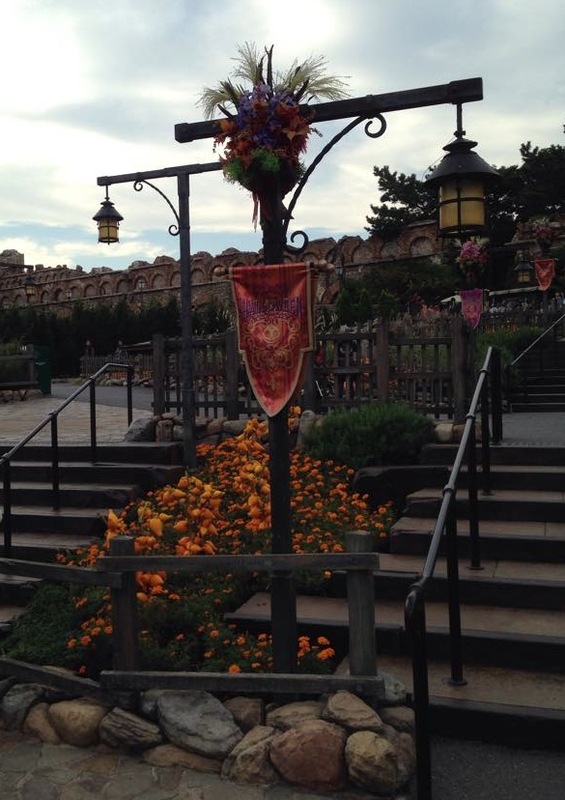 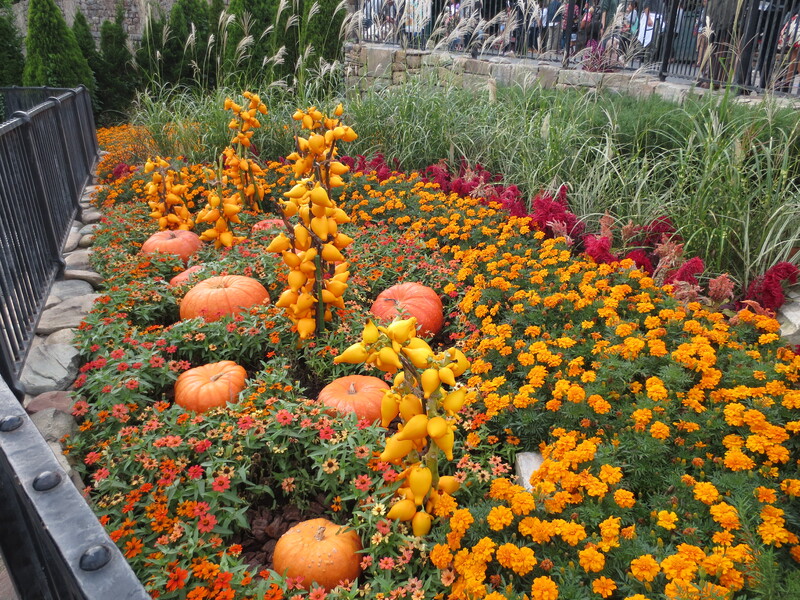 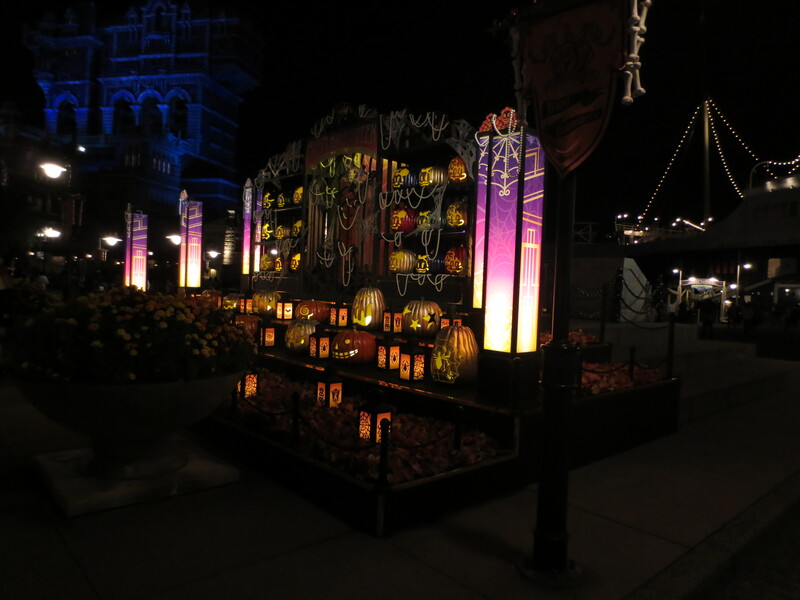 We covered the food in the previous post, so this time we’ll look at how Disneysea is decorated in the spirit of Halloween. 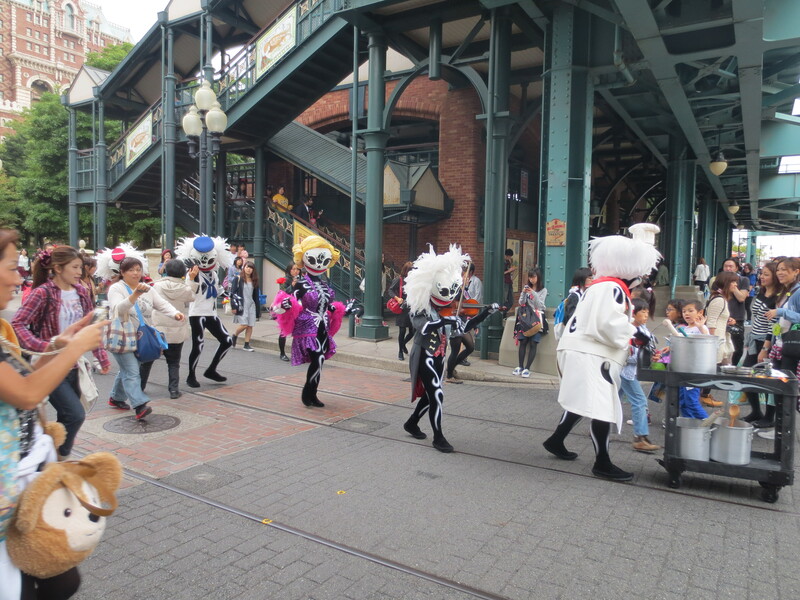 Unlike Disneyland, adults aren’t allowed to dress up in costume to come to Disneysea, but that’s okay because it means that all of the costumes can be found at Disneyland, as we’ll see in the next post. 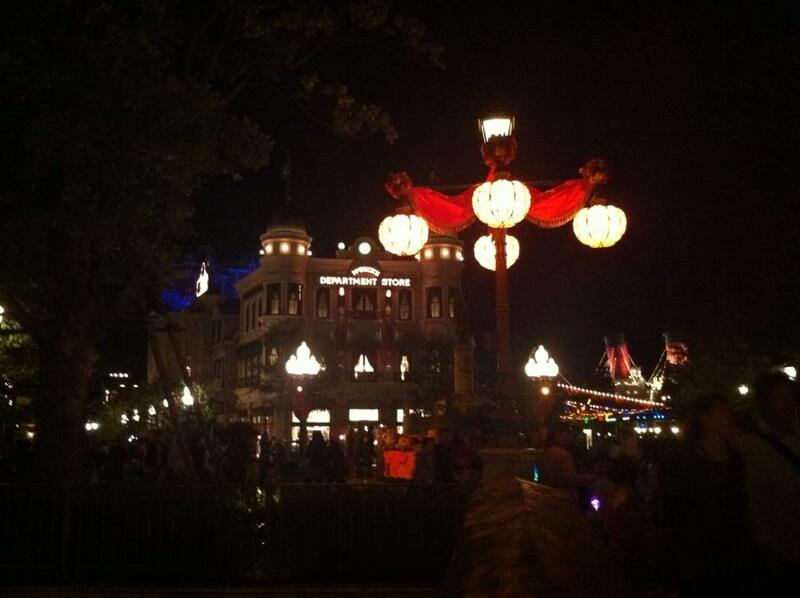 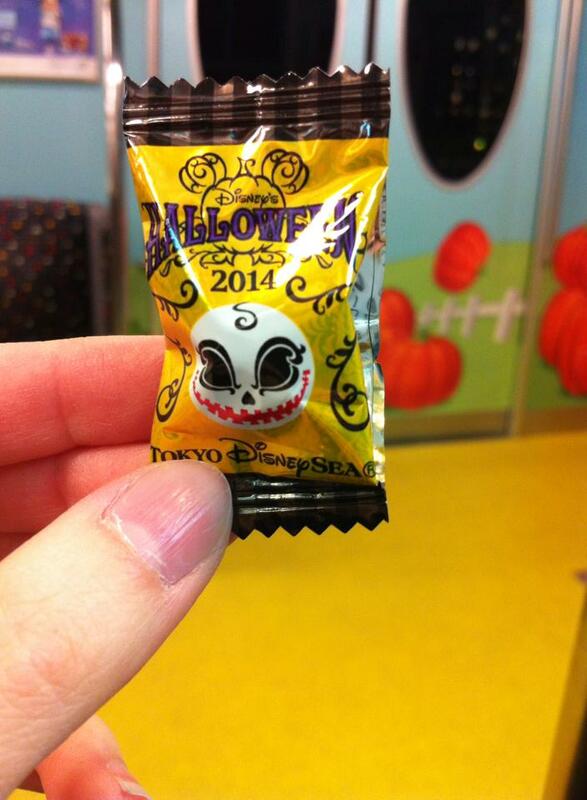 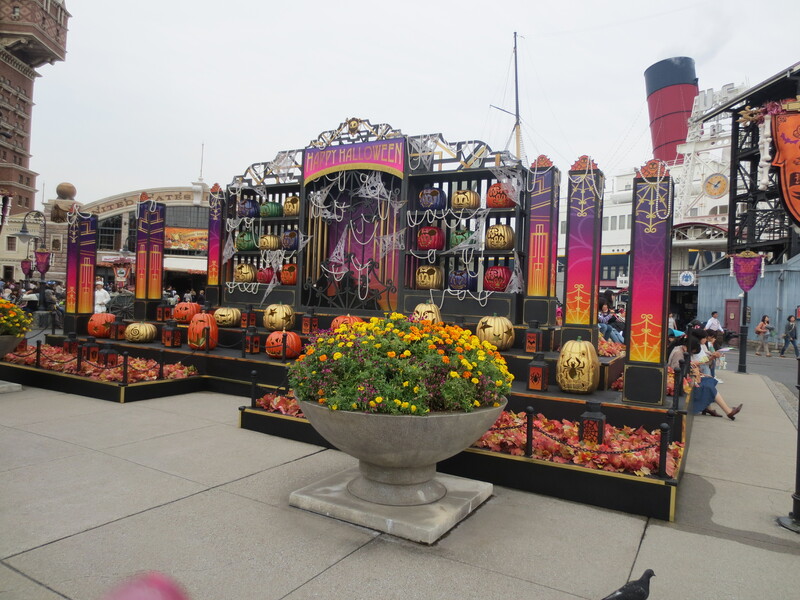 Without further ado, here are some photos of Tokyo Disneysea Halloween 2014, taken in the final week of the Halloween season. 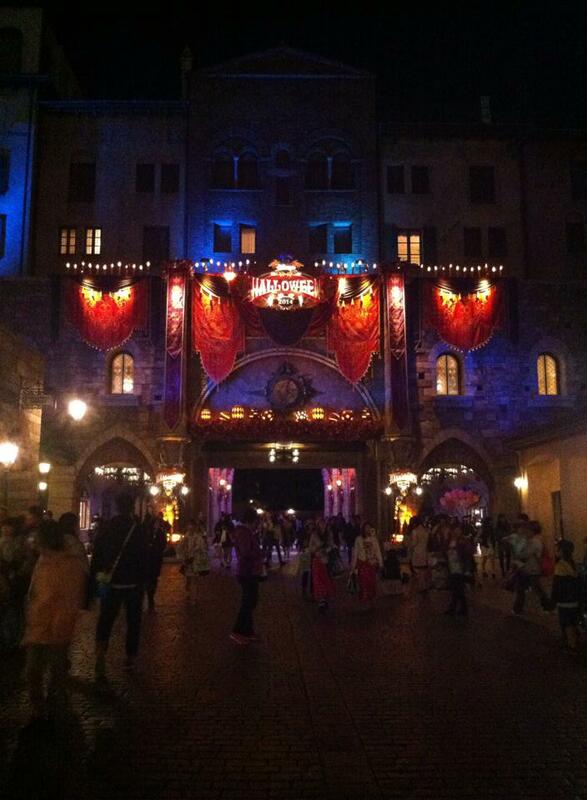 The entrance to Tokyo Disneysea. 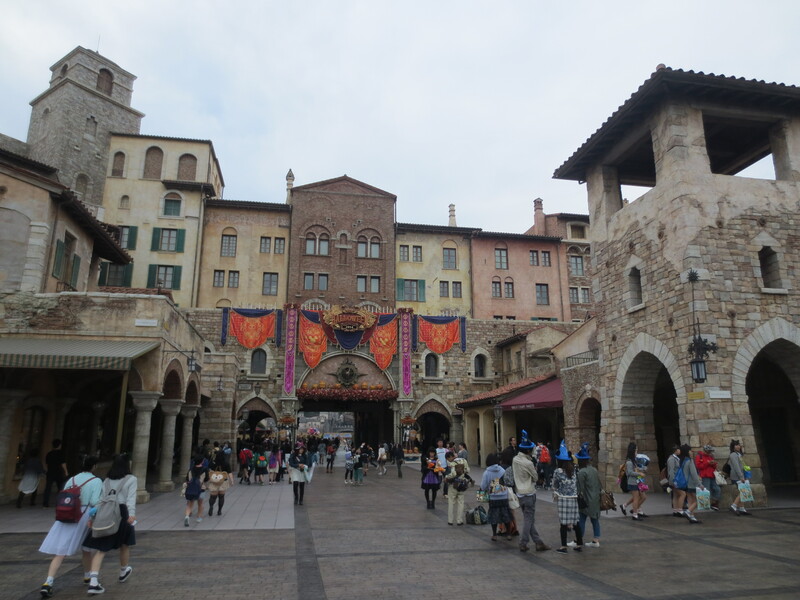 Some of the windows up there are actually hotel rooms that you can stay in – that’s DisneySea Hotel Miracosta, the five star hotel located in DisneySea. 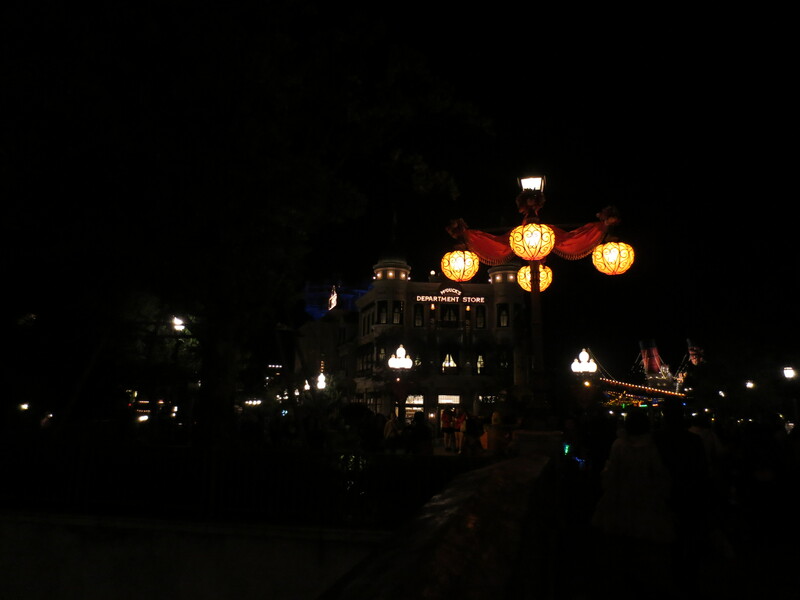 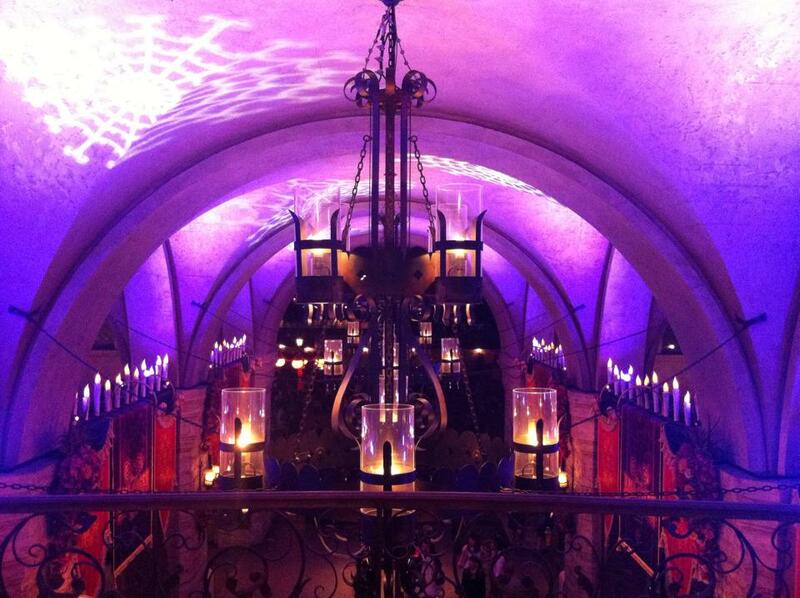 Here it is again, by night. 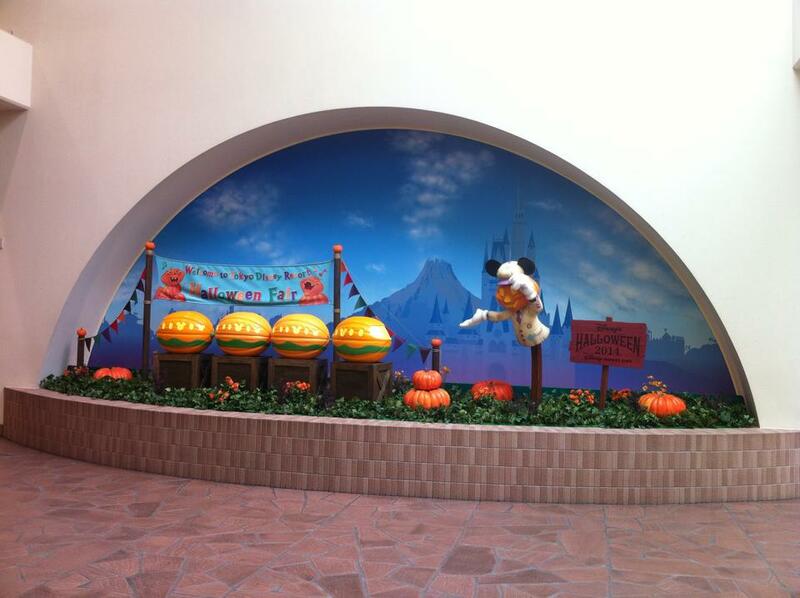 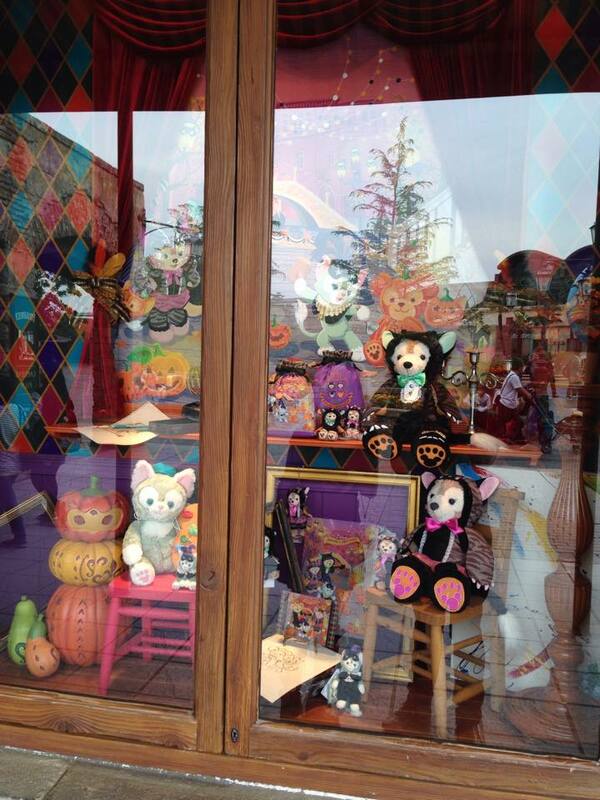 Duffy Halloween merchandise in the window of the entrance to Disneysea. 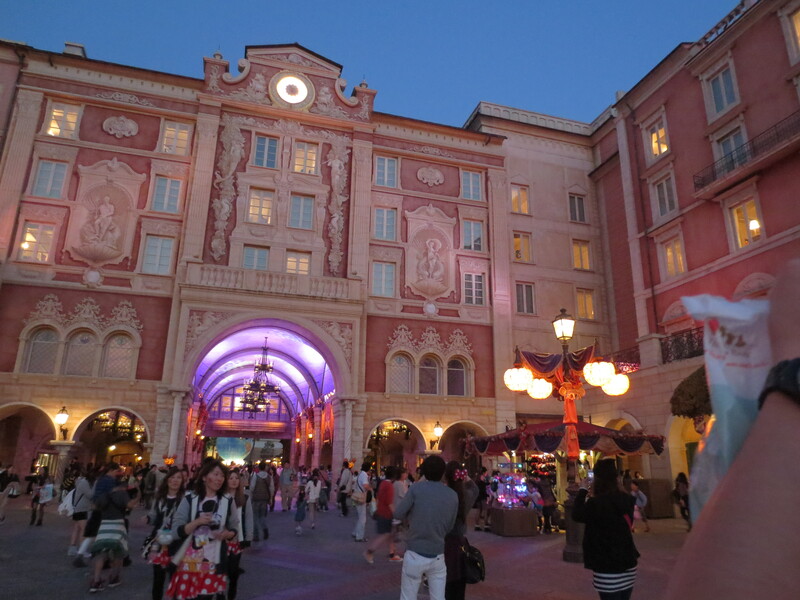 This is a view of the entrance to Disneysea’s Mediterranean Harbour from Hotel Miracosta. 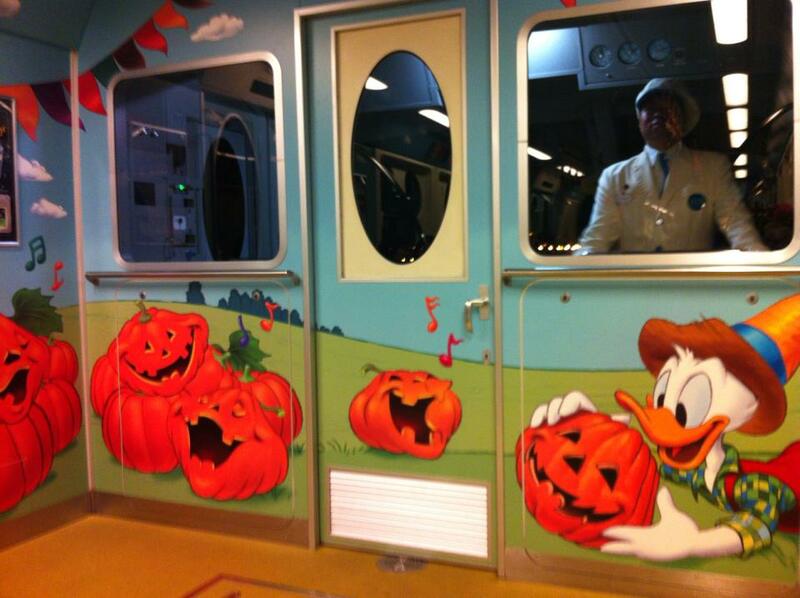 Some of the monorails are decorated for Halloween. 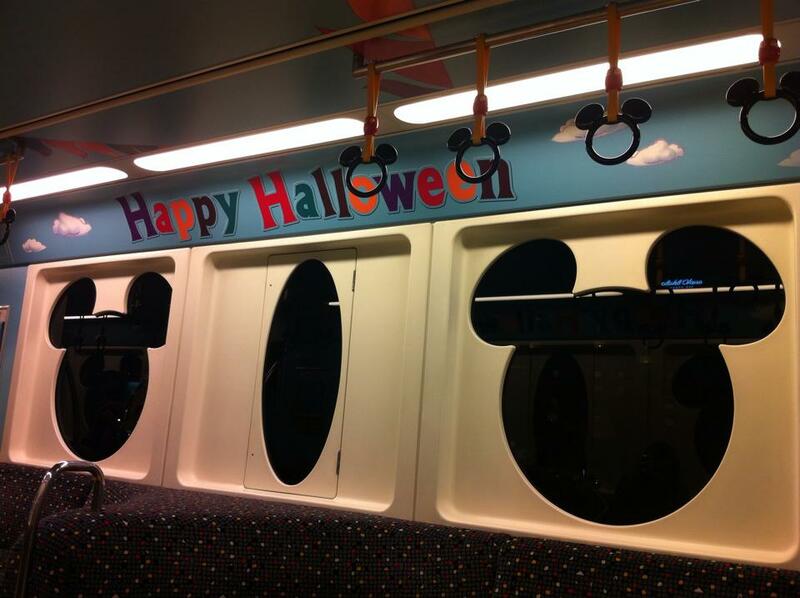 If you’re lucky enough to get on this one, you might even get a Halloween lolly. 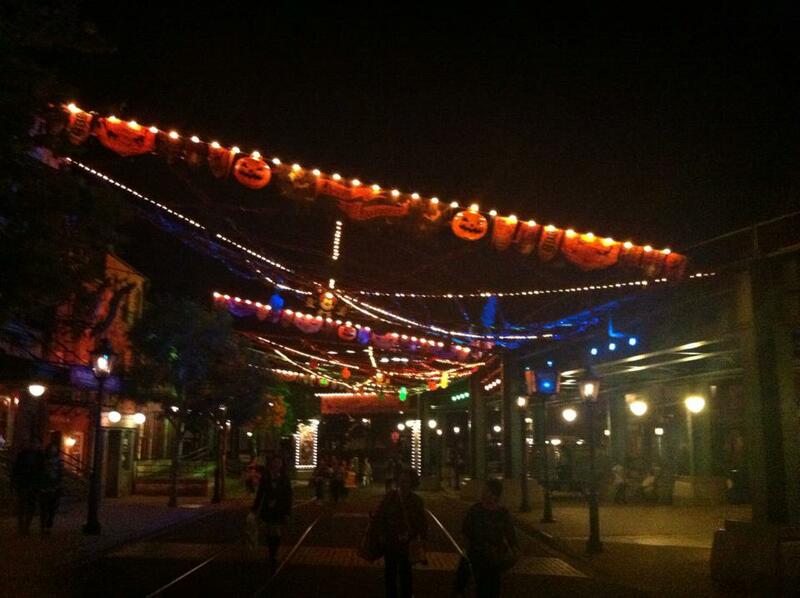 Next up we’ll look at Halloween at Disneyland in the final week of October where everyone is allowed to dress up in Disney themed costumes, and I’ll include some pictures of my Frozen Elsa cosplay. 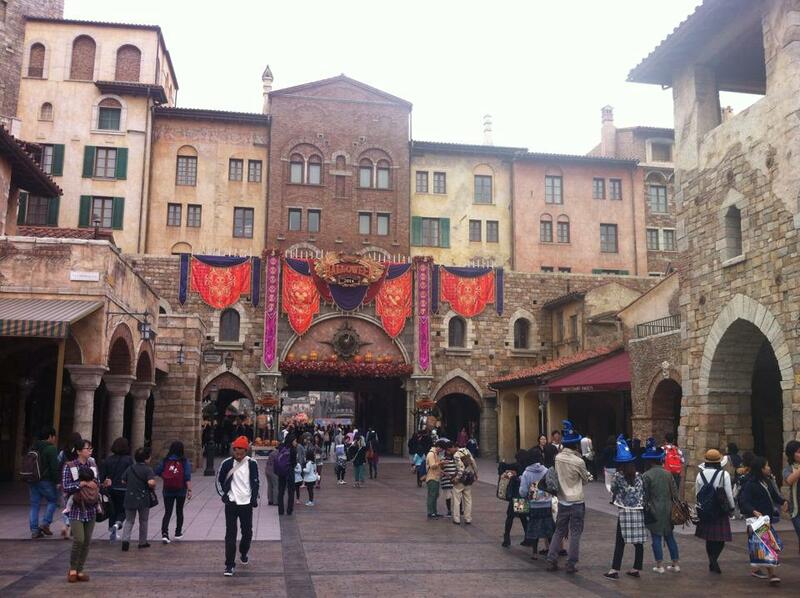 Tokyo Disney Sea seems fun :)! 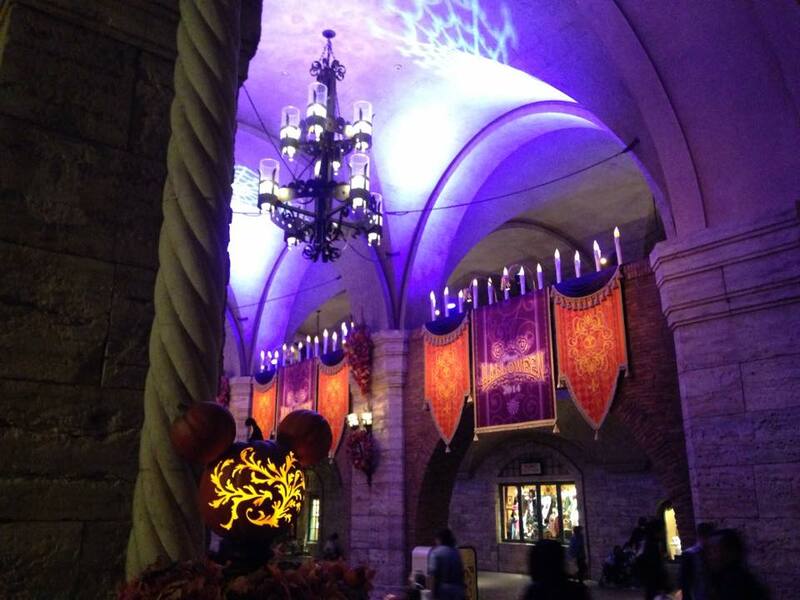 But which would you prefer between Disney Sea and Disneyland?